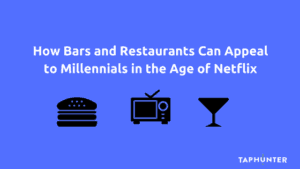 Millennials (those in their mid-20’s to late-30’s) and Gen Zs (those as old as 24) are a huge part of the market for any bar or restaurant, but attracting a young clientele takes a unique approach. After all, different age groups generally have different tastes and preferences when they go out. While a digital menu board is a practical tool for showing off your offerings and keeping customers instantly updated on their options, going digital isn’t just about convenience. If your business isn’t sure how to attract millennials, a digital menu board is a fantastic tool for bringing in more young customers and increasing your profits while they’re there. Let’s start by asking what young people want when they go out. It’s a broad question, sure, but the basic answer here is unique experiences. Millennials and Gen Zs are more likely to spend money on experiences than possessions. In fact, according to Forbes: “since 1987 the share of consumer spending on live experiences and events relative to total U.S. consumer spending increased 70%.” This has a lot to do with large-scale economics and shifting cultural attitudes, but, generally speaking, it’s great news for restaurants, bars, and other experience-oriented businesses. The craft beer/craft cider/craft cocktail boom has hit big with millennials and Gen Zs, and exploring new flavors and options is a huge upside to going out. After all, getting a pint at a bar is a much easier way to try that tequila barrel-aged stout than picking up a six-pack, only to realize later that it’s not really your thing. Young people also crave unique experiences in unique locations – think of the rising popularity of escape rooms, mud runs, and immersive art exhibits like Meow Wolf. 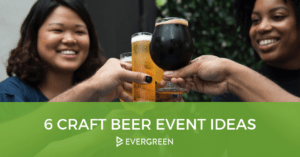 Whether it’s a creative happy hour or the release of a new menu item, unique events are a huge pull for young people. Restaurants and bars crafting experiences that their patrons can’t find elsewhere will have a much better shot at drawing in a younger crowd. 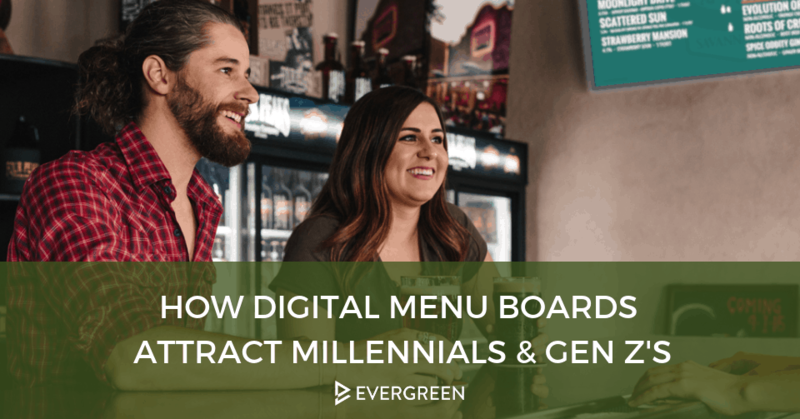 So with these two points in mind, let’s talk about how digital menu boards can satisfy these desires and help your business draw in millennial and Gen Z customers. This benefit might not seem instantly intuitive, but stick with me for a second. Both millennials and Gen Zs report feelings of loneliness at higher rates than older generations. The search for community is a huge driver for young people these days, and businesses that work to build a sense of social belonging can expect more repeat business. A digital menu board is a great way to showcase the human, communal side of your business. 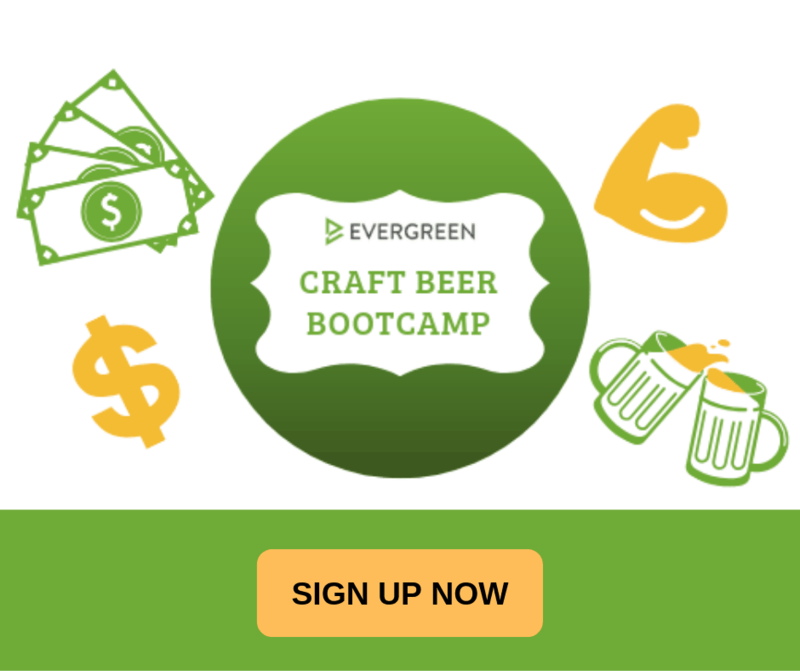 It can advertise upcoming events and show highlights from recent happy hours and mixers. This is a great way to bring patrons back after a visit, and build a sense of belonging for your regulars. 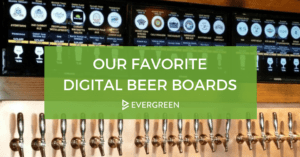 Digital menu boards can also place your social media front and center, and, with the right approach, an active online community can enrich and grow your physical community. Consider including weekly highlights from your business Instagram and offering special discounts for customers that check in at your location. Between beer, wine, cider, cocktails, and food, chances are you’re already offering a pretty broad range of options. It can get exhausting trying to keep all of your information consistent across different menus, and you never know when you’ll run out of something in the middle of a rush. So a digital menu board can save your staff from repeating the same information over and over and streamline your internal processes. Thing is, customers also prefer the simplicity of a consistently updated menu. An easy-to-read menu is a top priority for three quarters of restaurant patrons. 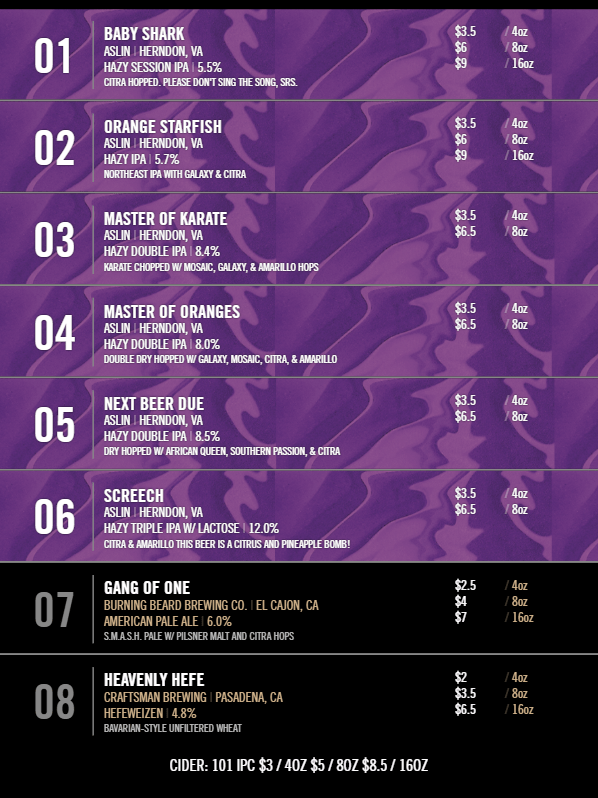 Showing off your menu clearly with plenty of information is a great way to drive sales. Digital menu boards are viewed 660% more than their static counterparts, and 20% of customers make unplanned purchases after seeing items on digital screens. Younger, money-conscious consumers are also more likely to spend more when they can see their range of options and the unique experiences that they offer. First: digital menu boards are hip, current, and can be styled to mesh beautifully with your overall aesthetic. If you’re trying to attract younger customers, a digital menu board offers a ton of opportunities to show what your business is all about. It’s modern and stylish while suggesting the nature of the menu items, all in a clear, easy-to-read style. At a glance, you understand what beers are being offered, and that the bar itself is hip and youth-friendly. We all judge a book by its cover when we walk into a new restaurant or bar. A digital menu board suggests an extra level of professionalism and style, and brings the unique feel of your location front and center. Special deals and discounts are easy to highlight with a digital menu board, and for cash-strapped millennials, this can be a huge draw. On your end, digital menu boards offer a ton of flexibility in the ways that you approach deals and discounts. You can quickly clear out inventory by offering flash sales, even over the course of a single evening. You can highlight exciting new menu items. You can even showcase your positive reviews, which is a great way to convince customers to try other items on the menu, or make a mental note to come back for your “fantastic brunch mimosas”. If your business isn’t sure how to attract millenials and Gen Zs, it basically comes down to this: crafting a unique experience that makes them feel welcome. It’s a simple goal, but if you can align your entire business around these needs, you’ll be amazed at the results. Remember: you aren’t just trying to get them through the door. You want to cultivate relationships that become repeat business, and eventually regulars. Digital menu boards are one step toward creating that unique feeling of “home” that will draw in the youthful crowd and help them to choose you again and again.